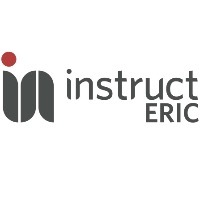 If you are registered with Instruct with ARIA you will have received an email "Act now to stay in touch with Instruct-ERIC" containing a simple link to update your mailing preferences. You must now opt in if you want to continue receiving news updates from Instruct ERIC or our partner projects such as iNEXT, CORBEL and others, otherwise we will stop sending you these updates. Your mailing preferences can also be changed at any time in your ARIA profile. If you cannot locate the email, please click the link below to update your preferences and choose to stay in touch with us (or not).